JMV’s Sophisticated Electronic Control Panel with Remote control of Cooler gives advanced features, comfort and convenience to the customer and Safety & long life to cooler. - Soft fan speed control in 11 steps. 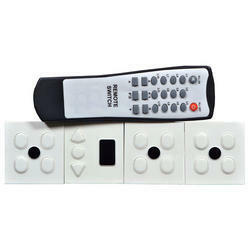 Remote Control Switches for 4 light and 1 fan with regulator. - Controls :3 light switches. - Built in memory remembers last state of lights and fans. 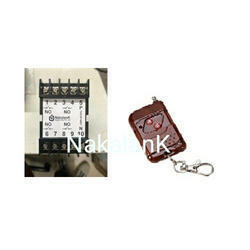 - Full function remote control.and manually switch also when remote not available. - Reduce your electricity bill by putting off lights & fans immediately with remote control, when not needed. Control your home light and fan with touchscreen switches in 2000. With 2 years warranty. We are engaged in offering high quality of Remote Electrical Switches.